Earn 439 loyalty points when you order this item. 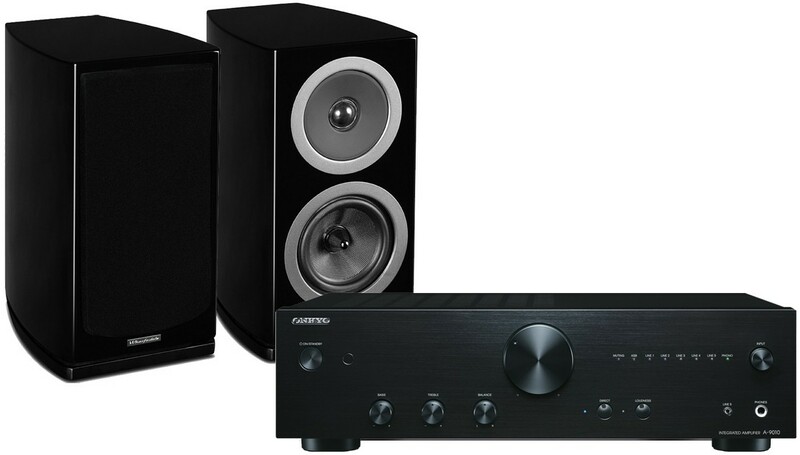 Expertly matched great value hi-fi package combining the Onkyo A9010 integrated amplifier and Wharfedale Reva-1 bookshelf speaker. 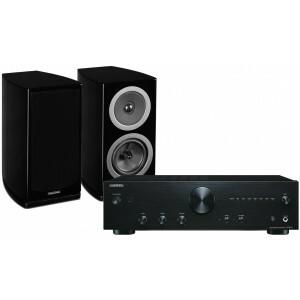 Onkyo A9010 is an award winning integrated stereo amplifier that provides exceptional sound quality at a great price. Tweaked in the UK, A-9010 integrates adapted circuitries and four audio-grade capacitors explicitly aimed at conveying warm full-bodied sound. Wharfedale Reva-1 speakers are the most compact model in the Reva range, ideal for small audiophile stereo systems or as speakers in a home cinema set-up. Designed for state-of-the-art tonal accuracy and musical detail, Reva uses proprietary glass fibre weave bass and mid range drivers and 7 layer piano gloss lacquer finish to liven your music collection and home cinema experience. For more information on the amplifier, please visit our main Onkyo A9010 page. For more information on the speakers, please visit our main Wharfedale Reva-1 page.